Aram Zobian is enjoying every minute of the Main Event. 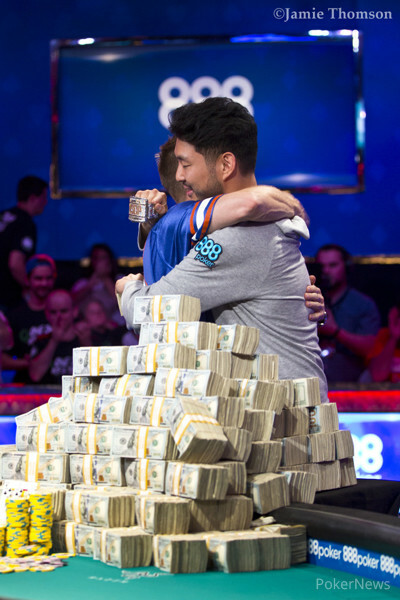 The Cranston, Rhode Island-native and dolphin-lover had $110,903 in lifetime tournament earnings prior to this tournament, including a $47,000 score in Mashantucket, Connecticut. Zobian's journey to the final table began with a hot streak before Day 6's dinner break. "Do you have it?" Antoine Labat asked Zobian during a hand on Day 6. "I always have it," Zobian replied. Shortly after that, Zobian won a big three-way pot besting Jeff Trudeau and online legend Henrik Hecklen with flopped trips holding ace-king. “I can't even comprehend how good I'm running right now," Zobian said on Day 6. "Definitely blessed. Never ran this good in a tournament, not even close. Hopefully, that'll be true for tomorrow as well." Zobian ended Day 6 by bagging up an impressive 41,585,000. 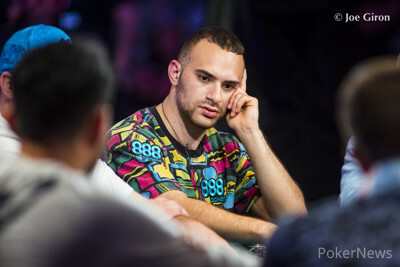 On Day 7, as he approached the final table, Zobian added: "This gives me a lot of confidence in life moving forward. There have been many times in my live tournament career when I've thought about quitting and playing primarily cash games. So this validates that I do well in this format." On Day 6, with the board reading , four-time WSOP Circuit Event ring winner Jeff Trudeau check-raised all-in. Zobian tanked and folded . Trudeau showed a pair of fives for an audacious bluff. Instead of getting rattled or going on tilt, Zobian composed himself and forced himself to focus. "It sounds weird, but I kind of enjoyed getting bluffed on TV," Zobian said. "I had the guy that much on tilt that he tried to spew his chips to me. Kudos to him, because he ended up getting a fold, but his play was pretty ridiculous, from a theory standpoint." As Zobian looks ahead to the final table, he's still processing the incredible aces versus kings versus kings hand that rocked the Thunderdome and burst the bubble. "The last hand leaves one guy short," Zobian said, "so it definitely affects my strategy." For the time being, Zobian plans to celebrate with his friends, prepare for Day 8, and take things from there. "Making the final table hasn't quite registered," he said. "But I feel fine. I feel all right."